1) Search out new career opportunities. I recently graduated with a Masters Degree in Library Science (MLIS) and I spent 2.5 years working towards furthering my education so that I could be an asset to any public library. I need to voice my ambition and work diligently towards obtaining a leadership position. 2) Write more! Now that my endless homework is done, I will have more time to devote to it. In conjunction with that goal, I welcome writing guest posts. I already have a The Last Jedi piece in the works for Jeffrey at The Imperial Talker, an environmental piece for Michael’s American Resistance at My Comic Relief and YA book reviews for the 2018 Tournament of Books through the Young Adult Services Forum group I belong to planned. 3) Hike more! To be honest I’m not one to hit the gym. But I really like hiking and will happily spend hours walking in the woods. It’s great exercise and wonderful for my soul. 4) Take more nature photographs for my Instagram account nancyandnature. I am planning to purchase myself a better camera soon, and hope that I can spend more time outdoors (see above goal) capturing good shots. I had nine pictures selected to be featured on photography sites Only in Illinois, Midwest Snaps and Illinois Shots in 2017 and I aim to have more selected this year. I have included one of my favorite pictures I took this year. 5) Organize my drawers, closets and basement in my home. I bet my co-workers would appreciate me working on my desk too. But I’m creative, and have lots of art projects and the corresponding supplies in mid-completion.Luckily I have a steady stream of teen volunteers at the library to assist me and the other librarians with various projects. Some of these goals are repeats or very similar to last years, but they are ongoing and one year is not enough to complete them (if ever). 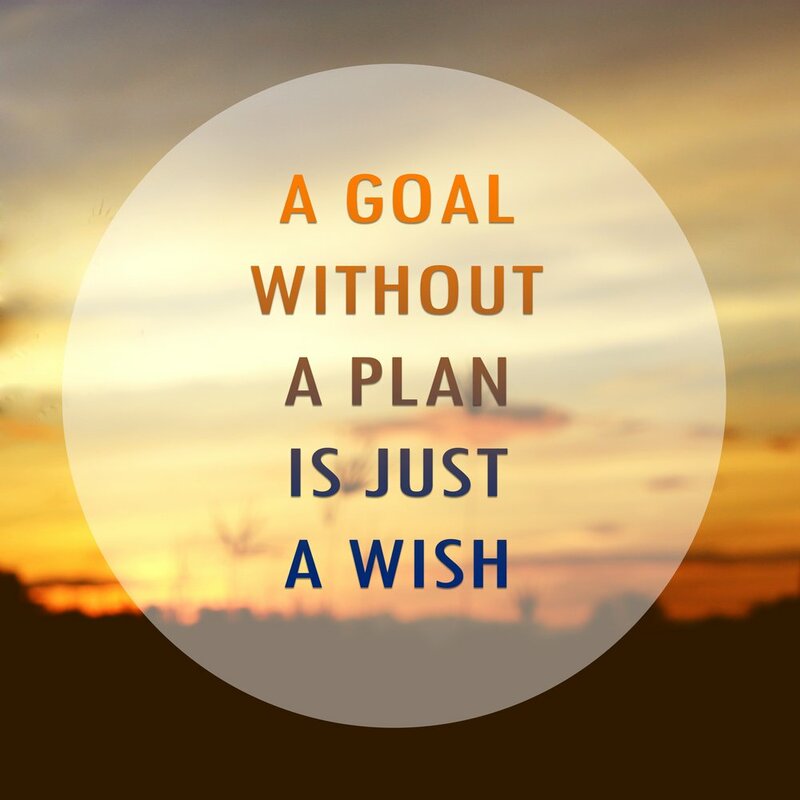 Wish me luck on my goals and planning, so in one year they have been achieved instead of being wishes that never came to fruition. As an extreme fan of Locke & Key, I was thrilled to see a book of collected stories set in the world of Keyhouse. Unfortunately, this book depends on your knowledge of the six book series to understand the power of the keys that play a significant role in the stories. As two of the three stories are prequels, you are meeting family ancestors to the Locke children, and you will see some uncanny resemblances between generations. Open The Moon– While this story could be a stand alone, this story is better understood if you have read the issue Small World, as this has the family found in that story. We meet Chamberlin Locke and his wife Fiona and their four children. This story centers on their sickly son Ian, who is prone to convulsions, who can’t be cured by the magical mending cabinet in their home. Ian, his father and family friend Harland board a special hot air balloon to take them to the other side of the moon. This beautiful but melancholy story reunites loved ones, and Ian’s parents make a heart rending sacrifice for Ian. Grindhouse– This crime-noir story is set in the 1930’s and features some French-Canadian criminals that get in over their head at the Keyhouse. Sisters Mary and Jean from the previous story are all grown up when the gangsters burst into their home and threaten them. Bombshell Mary is calm, even when her little boys are in danger and the women are forced upstairs to be assaulted. Luckily these two women know how to utilize the keys of the house to their advantage, and the crime spree ends in a shocking manner. This story is graphic and meant for mature audiences only. In The Can– We are reunited with the three Locke siblings from the original series in this short. Spanning only a few pages, this story takes place in what I assume would be Volume 4 when they are searching for additional keys in the house and grounds. Bode, the youngest, discovers a magical outhouse in the woods. Each time he opens the door different creatures greet him. In-jokes abound in this story, so be on the look out for clues in the first few panels that will explain what Bode sees. That some of these creatures can be found in other IDW publications comes as no surprise. The concluding pages in the book are a photo gallery of the Massachusetts region that the fictional town of Lovecraft is based off and the author and illustrator mugging for the camera. Then we are given three drawn portraits of Bode, Kinsey and Tyler with Locke & Key mythology behind them. This hardback book is a treat for already established Locke & Key fans and should not be missed if you miss the series and are waiting on the Hulu series to start filming. As we did last year, we went through all the graphic novels we read and reviewed this year to give you a Top 10 list – the best of the best! Nancy: Roughneck is a beautifully told standalone tale of a brother and sister’s quest to reconnect with one another and their cultural identity written and illustrated by the talented Jeff Lemire. Lemire handles the storyline of Derek and Beth’s Cree heritage with grace and respect. The reality of native families becoming disenfranchised from their cultural heritage, is mirrored in the excellent book The Outside Circle, which also deals with First Nation individuals whose circles of community were broken which led to fragmenting generations of people with no connection to their tribe anymore. The ending is open to interpretation, and while I at first looked at it one way, re-reading it I saw a more melancholy but poignant way of concluding the story. Kathleen: A review of this book is upcoming, but last week I read this graphic memoir, Lighter Than My Shadow . The illustrations were all drawn by hand by the author, who suffered from anorexia when she was younger. This is the story of her recovery, and all the difficulties and choices that came with it. I don’t want to spoil my own review (edit-added link! ), but suffice it to say for now that the illustrations are among the most beautiful and effective that I’ve seen this year. Nancy: This graphic novel adaptation of Octavia E. Butler’s story, Kindred, was extremely well done. Butler’s original novel, published in 1979, was a ground breaking story that liberally dipped into historical fiction, science fiction and fantasy within a time traveling framework. The author herself called the story “a kind of grim fantasy”, and this adaptation shows just that. This was a heartbreaking story, and through the juxtaposition of Dana’s (the main character) experiences in two different centuries, this fantasy novel actually gives a highly realistic view of the slavery era. Kathleen: Beauty is an adult fairy tale in graphic novel form. It tells the story of Coddie, a fishmonger, who wants nothing more than to be beautiful so she’ll stop being the laughingstock of her small village. When a fairy grants her wish, however, she quickly learns that she can now have whatever she wants – at a steep price. The child-like art belies the serious messages and themes within. The figures are loose and almost caricature-like. The writing is phenomenal, with unconventional characters and fairy tale tropes turned slightly askew. If you like your fairy tales with more of a brothers Grimm than Disney flavor, this is perfect for you. Nancy: Although the Superman: American Alien has Superman in the title, it is really Clark Kent stories. 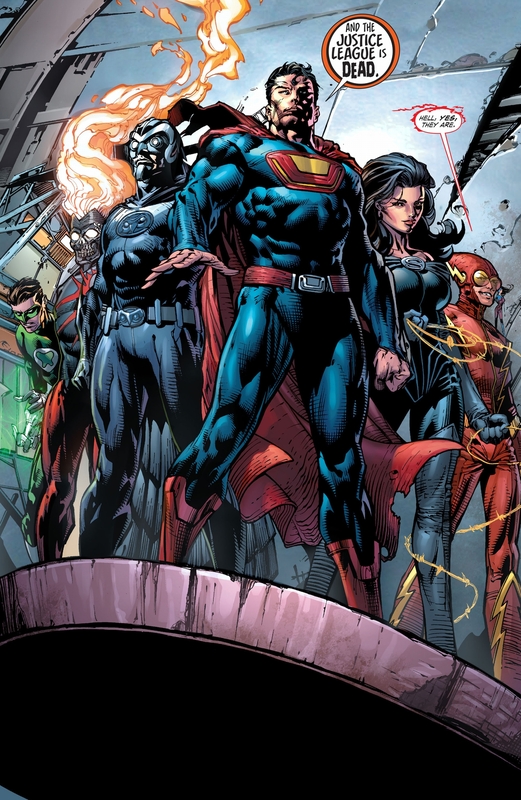 The seven stories are chronological and fill in the gaps in the Superman canon. We start with Clark as a boy learning how to fly, move through his adolescence, and finally settle in his early years in Metropolis. Every story is strong, and fits in seamlessly with what we already know about Superman. I highly recommend this book, for it humanizes Superman. The seven stories are all excellent, and they flow and connect into one another, to form the larger picture of who Clark Kent is and who he will be. A must buy for Superman aficionados! Kathleen: Unfortunately, DC Rebirth has been a hit or miss for me, but the one story that I’ve consistently loved is Wonder Woman. Bringing Greg Rucka back to her title was the best decision they could have made! After discovering that she’s been tricked into thinking she could return to Themyscira at will, Diana sets out to discover the truth of herself and who has deceived her once and for all. She is vulnerable and human here, and I’ve cried shamelessly as she struggles to figure out the truth – her own truth, the truth of who she is. Greg Rucka is without a doubt one of the best writers of Wonder Woman. The art is nothing to sneeze at, either, beautifully detailed as it is! Nancy: Vision- Little Worse Than A Man is as far from a superhero story as possible. While grounded in the Marvel universe, with cameos by other Avengers and villains, this book is about our definition of humanity. This quietly ominous story had such power, and felt especially moving to me to read at this time when I worry about our nation’s future. I feel some in our country have embraced a bullying rhetoric, and turn a blind eye to facts and justice for all. Kathleen: The memories of her childhood ice-skating days became the subject of Tillie Walden’s graphic memoir called Spinning. The uncertainty of moving to a new city, starting middle school, and discovering her body and her sexuality make Tillie’s ice-skating routine comforting to her – until she starts questioning that, as well. The art is fantastic: only purples and yellows are used, and yellow quite sparingly, to highlight important parts of the story. Great blocks of deep purple around a single figure illustrate Tillie’s loneliness and uncertainty more than her words could. Nancy: Briggs Land is an absolutely riveting new series about “an American family under siege” by both the government and their own hand. Set in rural upstate New York, Briggs Land is a hundred square mile oasis for people who want to live off the grid. Established in the Civil War era, the Briggs family would give sanctuary to those who wanted to live a simple life, but this anti-government colony has taken a dark turn in recent times. The village that grew within it’s fences has morphed into a breeding ground for white supremacy, domestic terrorism and money laundering. The second volume is scheduled to be released in late January, and I dearly hope it stays as strong as it’s debut volume was. A little backstory before my review. It turns out, my last review of Birds of Prey was the last of the original run! After the Platinum Flats arc, it was cancelled!! I know, I’m outraged too!!! I will have to do more digging and see what happened. The good news is, they rebooted it for a short while after the Brightest Day event, with Gail Simone returning as writer. There isn’t much of this run before the New 52, but I’m addicted and need my fix! The Birds have disbanded. In the aftermath of the Brightest Day event, they are back again… because someone wants them to be. A masked woman dressed all in white is threatening to kill one of the Birds every hour – unless Black Canary agrees to go with her. Of course, Dinah is not going without a fight, and the rest of the Birds will fight tooth and nail to keep her by their side, even after their separation. They’re going to need a little help though, from the resurrected Hawk and his partner, Dove. The bond of the Birds is about to be tested like never before. Will they hold strong together, or crumble once again? The Birds are truly at their best while under Simone’s wing. They are more than a team, they’re a family. The love and respect these women have for each other, and that Simone has for these characters, is palpable in every page. Hawk and Dove made a fun addition, especially the war-mongering Hawk, who added a wild card element to the already fast-paced mix. Ed Benes has been a favorite artist of mine throughout this title, for the emotive qualities he brings to the heroines. Though I wouldn’t recommend it for first-time readers of this title – too many past events are referenced – it’s one of the best examples of the title there is. Simone, Gail, Ed Benes, Adriana Melo, and Alvin Lee. Birds of Prey (II, Vol. 1): End Run. 2011. When I discovered Adulthood Is A Myth early this year, I was enamored with author Sarah Andersen’s humor and her trademark artistic style. Despite her city living vs my small town setting and the age difference between us, there were many parallels between her thoughts and mine. I read her second book, Big Mushy Happy Lump, soon afterwards (review below) and then was doubly pleased when I was able to read her third book through NetGalley that will be out in March 2018. What stood out in this third volume was her honesty about the creative process and how self doubt and self sabotage come into play even as she has now gained mainstream success. There is a section in the back in which Andersen gives advice to new illustrators and shares how the internet has corrupted much of her former joy in sharing her work. Her guide for the “young creative” is actually appropriate for all ages as her practical advice about artist survival is from her own hard won experience. While this book is as funny as her previous two, there is definitely a maturing in her work that was welcome. Andersen’s second book includes more funny cartoons about self esteem, relationships and the foibles of being a woman. She also shares some personal insight as to how social anxiety, over thinking and lack of confidence has affected her. This was a quick read that was lighthearted but also can help others with anxieties feel that they aren’t alone. The roller coaster cartoon was especially apt, as I too struggle with self esteem, and to see in print that others also struggle with it was reassuring. I look forward to future Sarah’s Scribbles book, as the talented author and illustrator has created a very relatable set of books. Bravo!